Situated in the heart of Mayfair, this chic and elegant hotel offers the perfect home-away-from-home. Boasting luxurious rooms and suites that you will never want to leave, outstanding dining that you will never forget and heavenly spa treatments, Brown’s is an exceptional retreat. 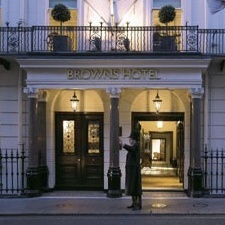 Brown’s Hotel is home to six private dining rooms, which can accommodate up to 72 guests for lunch or dinner or up to 120 people for a reception. Each room offers an abundance of natural daylight, high ceilings and beautiful antiques offering the ideal location for whatever the occasion. 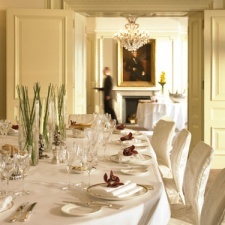 Mark Hix and Lee Streeton offer a series of seasonal menus throughout the hotel, focusing on British classic dishes using local ingredients. 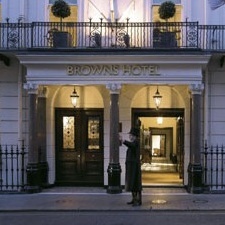 Brown’s Hotel’s sommelier has sourced a list of over 400 wines, as well as a selection of aperitifs, spirits and liqeurs. Guests can also enjoy a wide range of cocktails in the fashionable Donovan Bar and in The Albemarle Bar. Eclipse Chelsea should be visited for the Watermelon Martini alone.